Nokia will get into the tablet business. We’re pretty sure of that as higher ups at Nokia have said as much in the past and even CEO Stephen Elop mentioned about the “opportunity” being there just a few weeks ago here in New York. The only questions that remain are when and what it will look like, to which we have no leads or even guesses. That hasn't stopped the folks at ProductShowroom from taking a stab at the concept with their recent device render (translation: this is all completely 'made up'). They’ve decided that Nokia should go the ‘phablet’ route, a new mixed term for really big phones that are basically mini-tablets e.g. Samsung Galaxy Note. For the record, we really hate saying 'phablet'. The Nokia 1002 is a proposed 7.5” phablet with a quad-core 1.8Ghz CPU with an odd 1800x900 resolution and runs Windows 8 OS, not Windows Phone 8. For fun, they’re also tossing in an 8MP camera on the back, 3.2MP camera in the front, an 1800 mAh battery and a cool little stylus that pops out of the body. 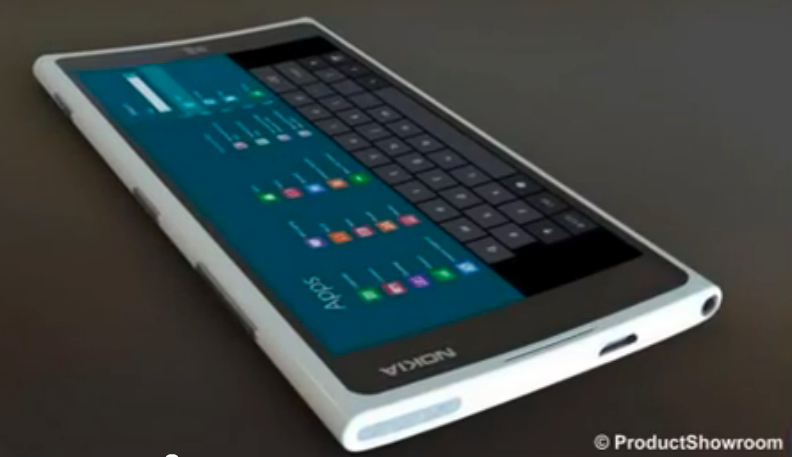 Speaking of, it’s clearly a polycarbonate design with an inward-curved screen presumably for easier typing. What do we think? Sure, why not. If we’re playing fantasy why not go full blast with the specs and let your imagination run wild—damn the reality! Unfortunately, we’re not sure those specs are really doable even with Nokia’s R&D prowess, nor do we see Microsoft allowing Windows 8 and Windows Phone 8 to blur so early in their life cycle (that seems more of a Windows 9-in-2015 thing). But getting to the basics, it does raise some interesting questions. We have seen a few 10” slates coming this year from Asus, Samsung, Lenovo and even Microsoft—but what is the answer for that lucrative new 7” market? Will Nokia offer something in that range? Should it be Windows 8 or Windows Phone 8? Only time will tell, Sound off in comments on your thoughts on what Microsoft, Nokia should do.